Follow these instructions to create a new Youtube channel and connect it with our system. Go to your channel list . 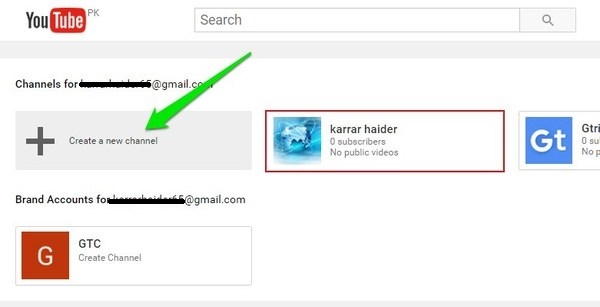 Create a YouTube channel for a Brand Account that you already manage by choosing the Brand Account from the list. If this Brand Account already has a channel, you can't create a new one—you'll just be switched over to that channel if you select the Brand Account from the list.